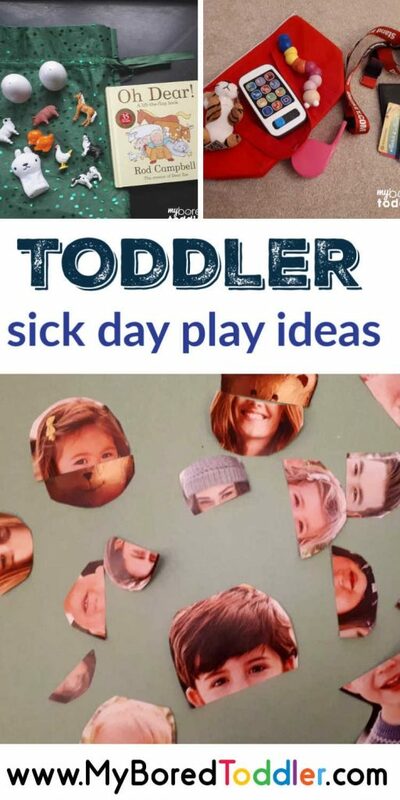 If you’re looking for toddler sick day play ideas then we’ve got you sorted! Toddlers are not known for being good at sitting down and getting some rest, even sometimes when they are poorly, they seem to have boundless energy. 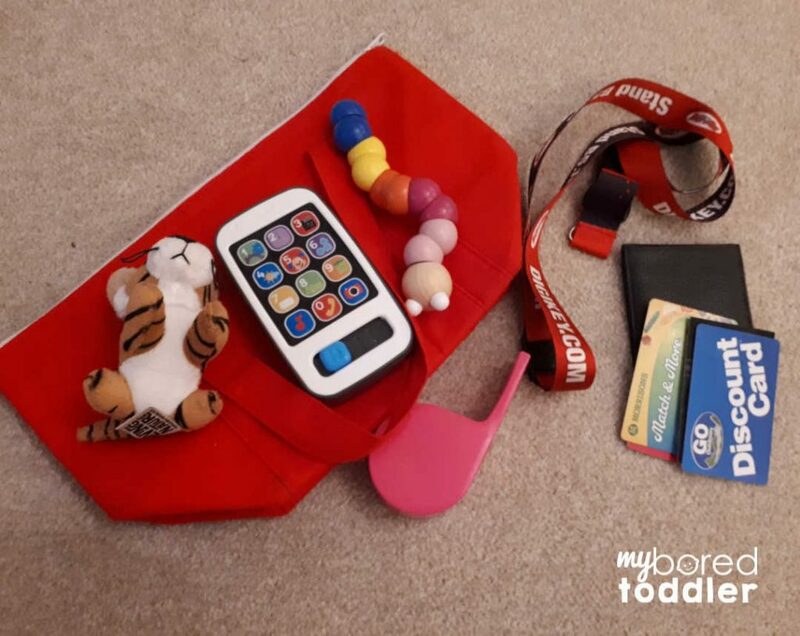 I recently had a week of my 2-year-old being poorly closely followed by my baby, it was a tough week for everyone but having a few easy play ideas for those long days in the house did make it a bit easier. 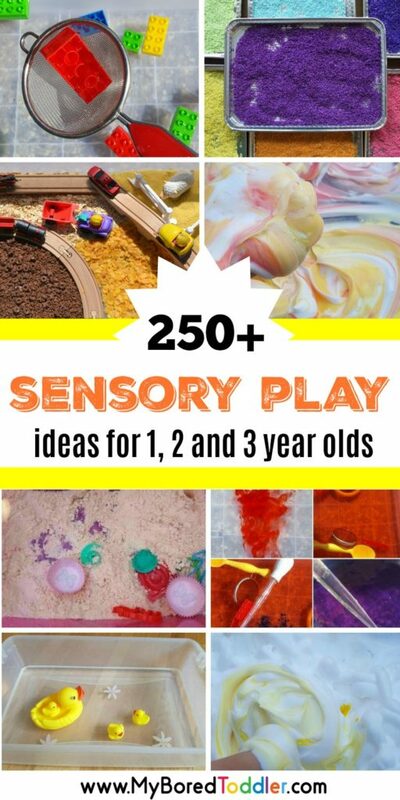 These ideas are aimed at 2 and 3 year olds although older children may enjoy some of the activities too. 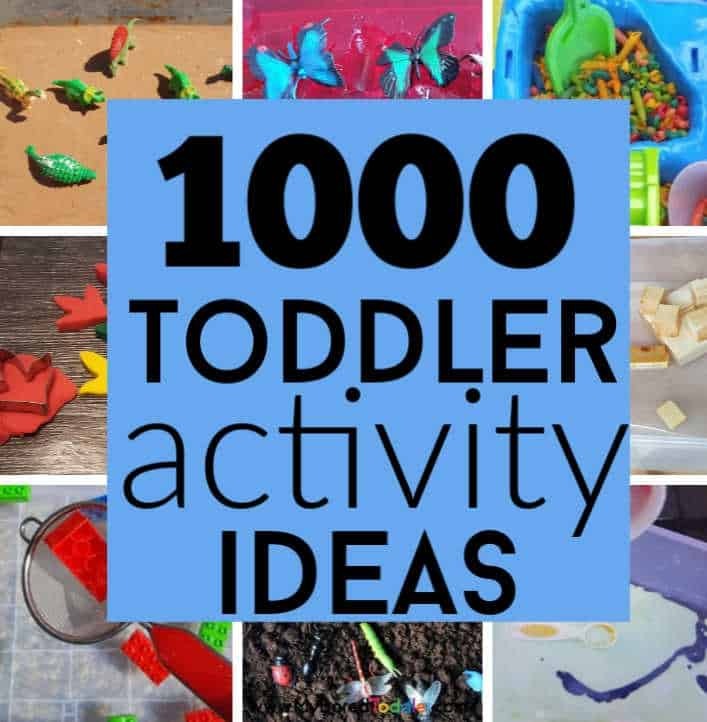 With a lot of these activities, you could set it up on a tray if your child is resting on the sofa or at a table. I also think it’s nice to have a few options on hand so they can come back to activities as they wish so, if possible, leave a few activities set up in different areas. Stickers or fuzzy felts. I don’t know many toddlers that aren’t obsessed with stickers. Try giving your child a sheet of stickers and few items from your recycling box such as toilet roll tubes, egg cartons, cereal boxes or even plastic milk bottles. Reusable stickers are also brilliant although obviously need to be used with the sheets they come with. Stories. 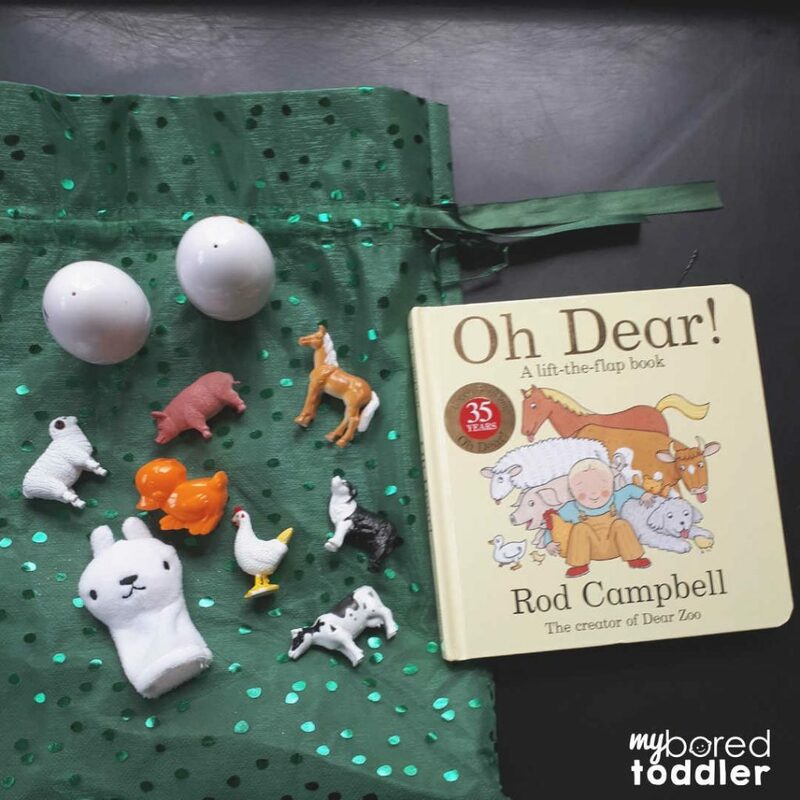 Young children will enjoy having stories read to them especially if they are not feeling well but they can get bored quite quickly so you could mix it up with a story sack or basket. These add interest and help to bring the story to life and help to keep little hands busy. Another way to bring a story to life for slightly older toddlers is to make up your own ending either by telling the story to each other or maybe doing a drawing about the story. It doesn’t matter what the ending is and it might change every time which is great as it shows your child is enjoying exploring their imagination! Playdough. This can be set up on a tray if they want to snuggle on the sofa. Add in some extras to extend play, try cupcake cases (silicone is best if you have them), birthday candles, straws, buttons, craft sticks, beads, feathers, pipe cleaners, small toys such as animal figures or character figures. Games such as orchard toys or old-fashioned favourites such as snap or even dominos are great with poorly toddlers. Jigsaws or puzzles, again on a tray if they are on the sofa resting if you are trying to encourage this. 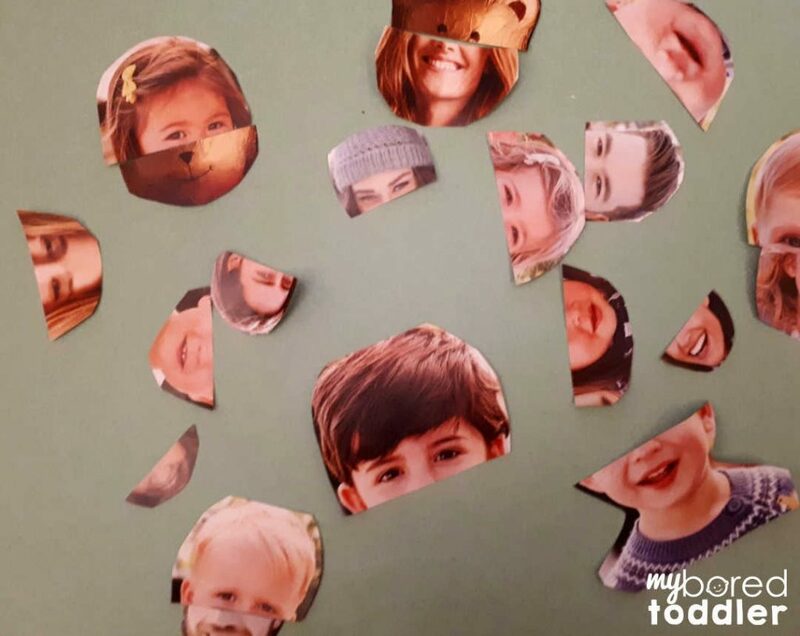 Cutting up old magazines or newspapers to make funny faces or themed pictures. This can be done with paper and glue or as ‘transient art’ using a tray or similar to make different faces on. Look at photos of them as a baby, other family members, holidays you’ve been on etc or if you have them video clips too. Young children love to watch themselves and its fascinating for a toddler to see themselves as a baby. If you’ve photos from holidays or day trips then you could look at those and talk about what you did- can you remember what we did? Was it sunny? What did you like best about the holiday/day out? This is so easy but my toddler absolutely loves it. If your child is feeling well enough give them a small bag, I use an old lunch bag, to collect a few ‘treasures’ from around the house. Obviously make sure there is nothing dangerous or unsuitable lying around but otherwise I let my daughter make her own little bag of treasures which she loves to unpack, sort and repack. If your little isn’t feeling up to collecting their own then you could quickly put one together for them- I include things like bracelets, small toys that haven’t been looked at in a while, old purse with expired store cards in and perhaps a few random objects from around the house like small kitchen utensils. Its basically a less organised treasure basket for toddlers in a bag. I’m Sarah, mummy to two girls aged 2.5 years old and 8 months. I aim to do activities that only take a few minutes to put together but can be played with for much longer. I do a mix of activities some just for my toddler, some aimed at my baby and others for them to play together. I try to follow their likes and interests but also will just give new things a try as everything was new once and I like to encourage them to try new things too. I am also a keen advocate for child led projects so as you may notice our art and craft activities are often process led and very ‘individual’. My biggest inspiration will always be my two girls and often the best ideas come from watching them. Visit Sarah at www.acoldcupoft.blogspot.com and follow her on Instagram HERE.